In the last 30 years, Guymer Bailey Architects has grown to be a medium-sized company with two offices, in Melbourne and Brisbane. Each office employs approximately 35 staff, with the offices working together on a daily basis. The business specialises in correctional, courts, educational and commercial projects. Due to growth, we are looking for an Interior Designer to join our Brisbane studio. The role offers a collaborative team environment across correctional, educational, community, commercial and resorts together with opportunities for growth. Having to create beautiful and unique interiors day in and day out, we couldn’t help but wonder, where do Interior Designers find their inspiration? 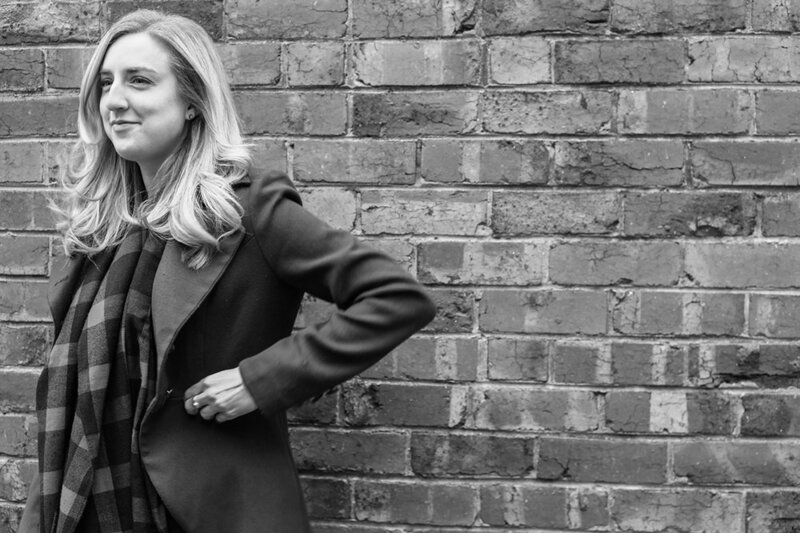 We sat down with Guymer Bailey’s Interior Designer, Elizabeth Burger, from our Melbourne studio to find out this and more. I’m a recent transplant to Melbourne, having spent the last two years in Perth and most of the years before that in my hometown, New Orleans, Louisiana. I love old buildings, live music, and good food. My most recent design experience was in heritage renovations, but before that, I had experience in corrections, healthcare, and airport redesign. I love having the opportunity to shape the spaces people spend time in. I think a lot of people overlook the psychological effect that interior spaces can have on those who use them. I also really enjoy collaborating with other designers and architects during the creative process. I’m inspired by historic architecture, specifically the scale, proportion, and rhythm of historic buildings which I try to apply even to new construction. I like to start by brainstorming really out there ideas and then reigning myself in from there. I also think it’s important to remind myself that an interior a client loves doesn’t have to be something I love (but it’s always more fun if it is!). What has been your favourite project to design? I worked on the renovation/restoration of an 1890’s Gothic Rectory building that had previously had a major renovation in the 1960’s. Peeling back the layers to figure out what was original, along with adapting the space for modern use, was such a fun challenge. The space was also full of amazing antiques and items that had all been abandoned, so I got a few souvenirs too! My dream design project would be a major project that combined historic architecture and new construction. Designing a new building that both complements a historic building and also stands alone as a great piece of architecture is something that very few people achieve. Finding that balance in interiors is also difficult, but it’s a challenge that I love. Don’t overthink it. The simplest idea is often the best. While you can be forgiven for thinking that interior design is all about aesthetics, the truth is a lot more goes into the planning and designing of an interior. To get a behind the scenes glimpse we sat down with Guymer Bailey’s Senior Interior Designer Gohta Shiraishi from our Melbourne studio to ask him about his design process. I’ve always enjoyed being creative, and as a kid, I wanted to be an artist or an inventor. Being naturally inquisitive, I like to connect the dots. I studied Industrial Design, and upon graduating, I went to work for a small Interior Design firm (Cube Architects) designing bespoke furniture and joinery. Over the years I picked up the Interiors trade and worked on many workplace, education and retail projects before I came to lead the retail design projects at my first firm. Since then, I’ve worked at a large Australasian scale firm (Warren and Mahoney) for a few years where I further honed my skills, mostly in the retail and education sectors, and now I’m a proud member of Guymer Bailey Interiors. I would say creating a curated and engaging experience in the built environment through good design. All disciplines in our industry have their vital roles to play from the consultant engineers, project managers and of course we can’t forget about the architects! But the role of the Interior Designer is to create the interface between the built environment and human experience. The whole process of design is thoroughly enjoyable from space planning and user traffic flow strategies and adjacencies, to developing the concept behind the look and feel of a space. It is a gratifying challenge to achieve an aspirational outcome while resolving technical issues and bringing it all together to deliver a project. Paul Priestman of Priestman Goode was a strong influence in my early career. His firm is a major player in the spatial design, Aviation and Transport design and industrial design sectors in the UK and one of their standout projects at the time was the redesign of Virgin Airlines Business Class seating. They developed the clamshell partition system, which is now quite commonplace, but was a revolution in Aviation interiors at the time. What I loved about this design was that it wasn’t only an aesthetically driven outcome. It improved the user experience by improving privacy and also gives the occupant seated behind a fixed wall in which their tray table and TV are mounted too. This makes for a much more pleasing experience for passengers. I can remember thinking, “Wow, there’s so much more to design than just looks”. Improving user experience through good design that is both aesthetically pleasing and functional is a key driver of my work. As a designer, it’s essential to respond to the needs of the client by understanding what it is they want to achieve with their space. This ultimately comes down to how they want the users to use the space. A big part of how users engage with a space is how they feel and react to an environment. With the client’s objective in mind, I’ll try and picture myself in the users' shoes and tailor the environment to facilitate a specific reaction from the users. For example, I have a significant background in the retail banking sector and in those settings customers need to be served in a reassuringly professional environment. A high-quality fitout gives off an air of security and stability but how far you go with this needs to be balanced with the expectations of the clients target demographic. With the users’ needs and expectations in mind, my initial high-level space planning will focus on the users “journey” through the space. Using the retail banking example again, key initial touch points need to be strategically placed to point the users in the right direction and help them move on to their next touchpoint which will usually be transaction or consultation based. Strategic use of wayfinding and locating concierge staff in the right areas is key to ensuring a smooth and trouble free user experience. Using another example from another one of my sector backgrounds, workplace projects need to allow a business to operate as effectively and efficiently as possible. So I will consider the needs of the key stakeholders and user groups and design spaces around their requirements. Agile workers need a mix of collaborative spaces when working with their colleagues but will also require more private working areas when focusing on process-oriented tasks. High-level executives often need to have confidential discussions, so adjacency to private and acoustically secure meeting or quiet rooms is crucial. 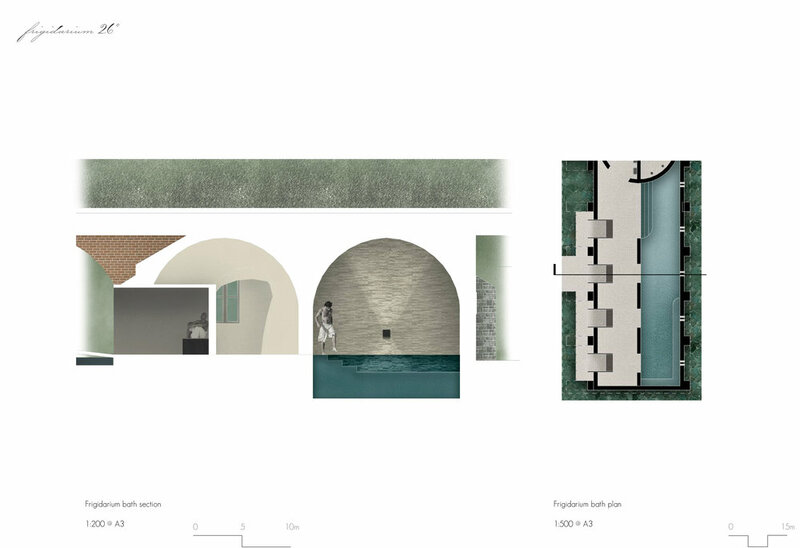 Once I have established the functional requirements of the space and have an overall floorplan, the next piece of the puzzle is to put together the overall theme and look and feel intent. For commercial retail projects this will often be tied to a brand image, and so the fitout will need to read harmoniously with the branding material in colour, form, texture and overall design language. In summary, make the space work well, and users will have a positive experience. Make the space look great too, and they’ll have a fantastic experience! My involvement in Tauranga Crossing Shopping Centre has been a key highlight of my career so far, though I’ve found every project has its positives, even the difficult ones as they offer the most beneficial learning experiences. I think it’s every designer's dream to have an unlimited project budget haha! But in all seriousness, I would say something that gives back to the community and enriches people's lives. A project that genuinely makes the world a better place would be truly amazing to be a part of. We live in a truly rich and diverse world. Regardless of personal tastes, I believe everything has its place in some way, in some form and somewhere. As a designer, it’s my job to make sure the right things go in the right place and often at the right time. A simple way of looking at it is to meet the project brief. Our Brisbane Studio is currently looking for a Graduate Landscape Architect to join our team. Guymer Bailey Landscape is a landscape design specialisation within Guymer Bailey Architects. Since its inception in 1989, Guymer Bailey has been committed to integrating landscape design with architecture through all of our projects. We are an enthusiastic team of landscape architects who work on a variety of projects for both public and private sector clients. Recent projects have included residential gardens, community facilities, sport and recreational facilities, streetscapes, public transport as well as large scale infrastructure. 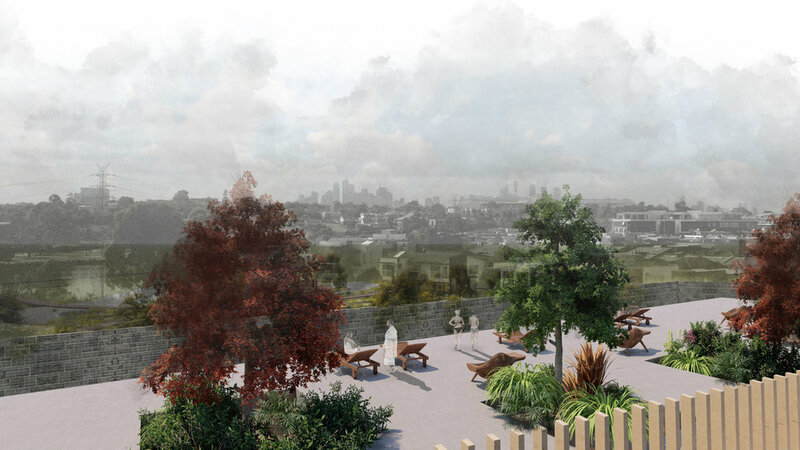 As a part of Guymer Bailey Landscape you will be required to provide input into a range of services including master planning, design and documentation, and contract administration of landscape architecture and urban design projects. We encourage and support all of our staff to develop their professional skills and to remain intellectually and technically up to date by undertaking professional development and training programs. If you share our goals, have the required skills, are self-motivated and would enjoy working as part of our team then we would like to hear from you! Competitive remuneration will be offered commensurate with skills and experience. We're hiring a Project Landscape Architect! Our Brisbane Studio is currently looking for a Project Landscape Architect to join our team. While there are many benefits and career opportunities when progressing from a graduate of architecture to a registered architect, frequent tales of a frightful process that is both long and tedious can be enough to make any graduate think twice. 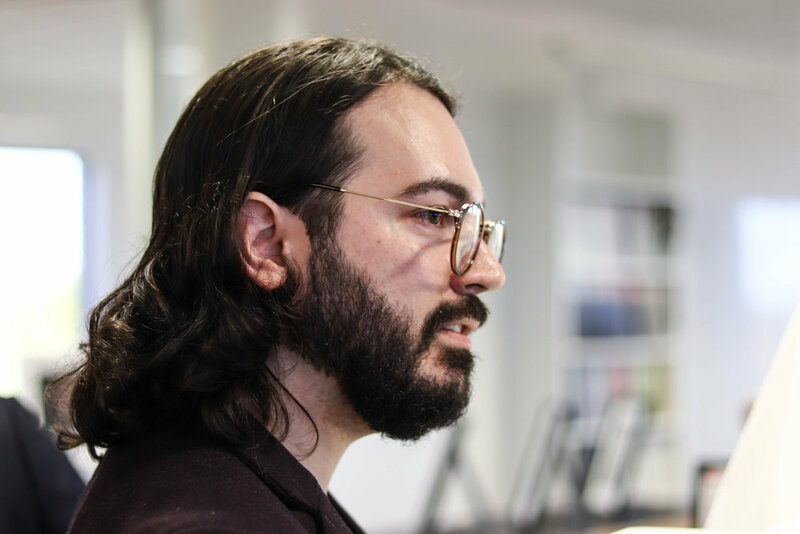 So to find out what it is really like, we sat down with two of our newest registered architects, Patrick Smardon and Kiril Petrov to find out about their experiences through the process. Q: What motivated you to take become a registered architect? Q: Is the exam process as intensive as they make out? Patrick: The exam is serious, but those of us from the office that undertook it participated in a night course to prepare for it. Having done the preparation, the exam is not as bad as it is made out to be. Q: What do you think are the greatest benefits of being a registered architect? Q: What was the most challenging part of the registration process? Q: What advice would you give those who are contemplating whether or not they want to become a registered architect? Construction has begun on the Olympic Village Primary School in Heidelberg West, close to Melbourne CBD, after receiving confirmation that funding was allocated in the 2018 state budget for the full realisation of their masterplan. This is incredibly exciting for the community who thought the school was going to close entirely. The local community, which has a rich history as the location of the athletes’ village for the 1956 Melbourne Olympic Games, has become highly disadvantaged since then which is reflected in the school’s enrolment figures which currently stand at 86 students. The school’s facilities have fallen below an acceptable standard in recent years and were assessed by Guymer Bailey Architects to help build the case for the replacement of the school. With 45% of students coming from non-English speaking backgrounds, 20% of students being Koorie and 10% eligible for additional funding through the Program for Students with Disabilities, social justice was a central theme for this project. It was a strong motivation of Olympic Village Primary School to ensure that those who are the most disadvantaged at home, are not disadvantaged at school. The other present theme that influenced the design of the masterplan was the desire to create a ‘community for learning’. The school is to become a place that encourages students to strive academically and socially. A place where all, no matter their differences, come together to collaborate and learn. Much like the ethos of the Olympics, people coming together and striving to be better. 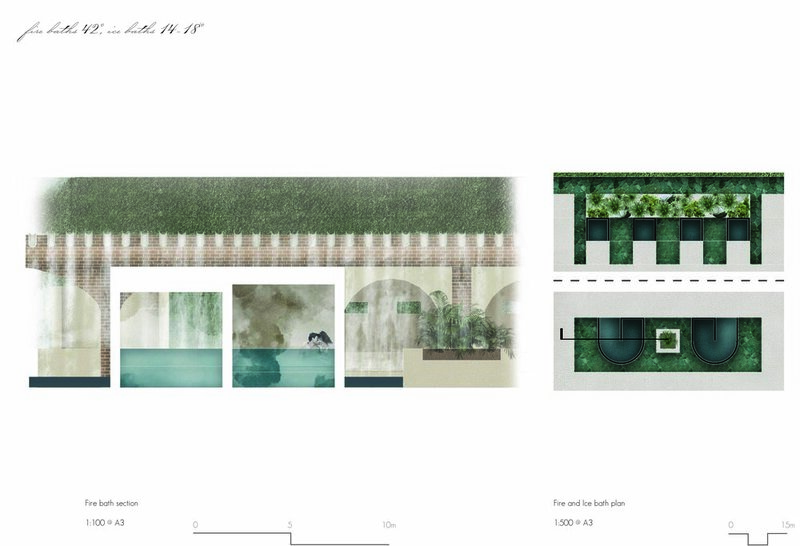 In the architectural language of the project, this transfers into the idea of a village. 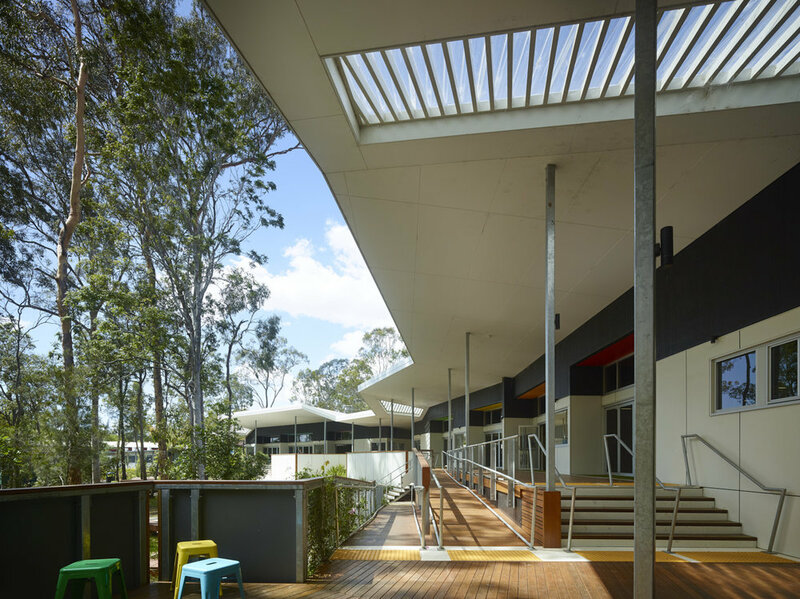 Classrooms, the multi-purpose hall, entrance foyer and staff lounge are represented as individual homes to create a sense of place and foster a feeling of security and warmth. These homes open onto internal covered streets that are shared spaces in the design and promote social interaction and collaboration while also allowing for discreet spaces to sit and retreat. These discreet spaces also facilitate the equity and remediation programs for ‘at risk’ students within the school structure. The educational village is arranged around a village green or village heart which all buildings open onto, creating a focal point and providing legibility to the layout. The scale of the house and street emphasises the human scale, stimulating belonging and comfort within the students. Classrooms are clustered in groups of three around a central common space to promote shared teaching options between classes and flexible learning opportunities. All classrooms have the option to be opened up to this common breakout space, but also have doors to allow for separation if a more orderly learning environment is required for a particular class or activity. Each classroom also has an individual discrete outdoor learning area, which can be utilised for larger groups, smaller specialist learning or students who are experiencing frustration and need time away from the class while remaining under the supervision of their teacher. Greater safety and security for students was a key objective addressed through the design of the masterplan. New fencing and one central access point have been proposed to create a safer learning environment where all visitors are required to enter through the administration. A drive through kiss-and-drop-zone will also allow for safer management of school drop off with the new entry providing a strong visual from the street to assist with wayfinding. To maximise toilet supervision and minimise the potential for bullying, toilets can be accessed from inside during class time and outside during breaks. 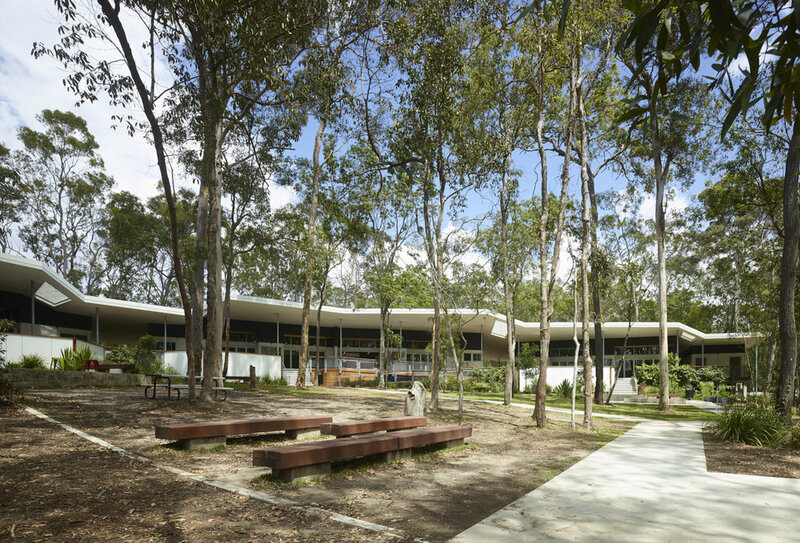 Passive supervision is also maximised by placing the principal’s office, staff lounge and staff workspace on the eastern side of the building facing into the village heart. The new school will also include a staff centre that is a single shared staff workspace designed to help staff work together in the planning, delivery, assessment and reporting of learning to support teacher development. A multipurpose space that can be accessed from both inside and outside of school grounds will also be created for school and community use. This versatile space features a kitchen, which will house community programs like the breakfast and homework club. And last, but certainly not least, a new library located at the centre of the classroom cluster will be built. The library provides a third break out space while also serving as the connection from the discrete classroom courtyards to the north and the village heart to the south. There is no question that the changes will make a significant impact on the learning opportunities for students at the Olympic Village Primary School and the Heidelberg community at large. Having been involved in the design of the project we’re overjoyed to see construction commence. Need to design an extension, redevelopment or renovation for your school or education facility? Contact us today on 07 3870 9700 (Brisbane) or 03 8547 5000 (Melbourne). You may also like to view our other education projects. Significant changes have been happening in playground design over the last few years due to greater recognition around the health and cognitive benefits of play, a strong desire to get children active and outside, and modifications to playground safety standards that acknowledge the benefit of graduated challenges which teach children how to manage risk. Out of all of the changes, we have found three key trends are emerging, and these are influencing the design of playgrounds both nationally and internationally. With the introduction of video games and tablets, there is no question that the way a child plays and interacts with the world has changed. Twenty years ago outdoor play was a way of life for us; we would disappear for hours on end building forts, riding bikes and playing sports. But now, with so much entertainment and stimulation available indoors, greater incentive to switch from screen time to green time is needed. This has seen a rise in playground themes to evoke the imaginations of children, allowing spaces to be interpreted and used in a number of different ways to create a unique play experience for each child. One example of this is the Frew Park Arena Play Structure Guymer Bailey Landscape designed. Built on the grounds where the iconic Milton tennis stadium once stood in Brisbane, its theme ‘deconstruction’ honours the history of the site with play precincts that reflect stadium spaces. The grandstand is brought to life with large precast concrete panels of varying heights and angles, and it even features a commentary box – a steel-mesh box suspended eight metres above the ground, to offer greater thrill to playground goers. With many children experiencing nature deficit disorder not being able to play in the creek, squish mud in between their fingers and toes, climb trees and get dirty in play, there is a growing demand to create this experience within the playground environment. This is particularly important for kindy children who benefit from the sensory experience nature play can produce. From mud pits and water play to sitting on logs around a fire pit, roasting marshmallows for story time, nature play experiences allow children to enjoy the beauty and simplicity of nature, and hopefully inspire a deep love for the outdoors. The key to nature play is to make it authentic using as many raw materials as possible. There are many plastic replicas available, but they do not create the same experience for children. Nature play areas should also be flexible, allowing for a wide variety of activities, sensory experiences and individual play interpretations – such as logs that can be used for sitting, standing or balancing on. While as children we were quite adventurous in our play, as a society in recent years we have been more cautious, preventing children from taking the same risks as we did. While these intentions are noble, in that we don’t want children hurt, what we have failed to realise is that we are preventing children from learning key life lessons through play. Research has proven time and time again that there are significant benefits when children are exposed to risk. Adventurous or more challenging play allows children to identify their strengths and limitations, manage risk and fear and develop courage and confidence in their abilities – all fundamental life skills that are needed into adulthood. These findings have resulted in modifications to the Australian playground safety standards that allow playground designs to greater challenge children and expose them to managed risk, where previous standards were inhibiting their form of play. Challenges at height including climbing walls, nets, ropes, tunnels, barriers, slopes, sliding poles, swings and flying foxes can all create greater playground challenges for children that allow them to get a better sense of risk and themselves. By being more adventurous in playground design while also keeping in mind age and ability, we can provide children with greater life skills. Does your kindy, school or community playground need an upgrade to create more imaginative and challenging play? Talk to our specialist playground designers today on 07 3870 9700 (Brisbane) or 03 8547 5000 (Melbourne). Rob Waddell is the Principal Landscape Architect at Guymer Bailey Architects. With extensive experience in designing landscape architecture for the community and education sectors, Rob has a proven track record of designing award-winning outdoor areas that capture the hearts and imaginations of children and enrich the experiences of the local community. With a keen interest in exploring the relationship between natural and built environments, Rob develops high-quality design outcomes that prioritise placemaking and people-centred design that works in harmony with the natural environment. It is with excitement that we announce that Senior Architect, Craig Blewitt, has recently been promoted to Associate. Craig is one of our most experienced correctional architects, managing all correctional and justice projects in our Brisbane Studio and assisting on the large correctional projects managed by our Melbourne Studio. He is also the resident “door guru”, assisting with door and hardware scheduling across all of our correctional projects. Warmly known in the Studios for his love of a good secure lock and a spreadsheet, ability to string together puns, and a passion for rehabilitative design, to celebrate his promotion we thought we would sit down for a chat with Craig to find out what he loves most about architecture and his views on correctional design. Q: What do you love most about architecture? I enjoy the collaboration process between architects, landscape architects, interior designers, engineers, consultants, builders and contractors during the design and construction process. I love witnessing the transition from paper to built form – seeing a project through from concept to completion. Q: How many years’ experience have you had in the industry? I’ve been working in the construction industry for over 12 years now, with nearly a decade spent toiling on correctional and justice projects. Q: Tell us a little about your work in corrections, what makes you specialise in this area? I kind of just fell into the corrections field. I worked on a project during university, and I haven’t looked back. The more I’ve worked on correctional projects, the more I’ve grown to love the complexity of these projects and the variety of building types. I’ve developed a passion for designing well-considered spaces that promote rehabilitation. Q: Tell us a little about yourself and what do you do when you are not busy designing or jet-setting around? I don’t have much time away from work at the moment, but the bright side is that I can pretty much recite the Virgin safety demonstration verbatim. Q: Is there a stand out project you have worked on? The Hopkins Correctional Centre in Ararat is probably the standout project for me. Partly because it’s the first correctional project that I had a leadership role on, and partly because of the well-publicised contractual issues, that took the challenges of the project to a whole other level. Q: What has been the most memorable moment of your career? Being asked by a builder whether they needed to remove the lumps of plaster on a floor slab before installing the flooring. But more seriously, attending the official opening of the Hopkins Correctional Centre, a project that I worked on full-time for close to six years, including relocating to Ararat for two years on site. Q: Where do you see correctional design heading in the future? With the prisoner population growing across Australia, it’s vital that the current and future design of prisons have a greater focus on rehabilitation through educational and behavioural programs, the development of work and social skills, and increased opportunities for family connection. To be truly effective, the rehabilitative programs need to extend beyond the walls of correctional centres to provide post-release facilities that continue to support prisoners in the years immediately following their release when the risk of recidivism is at its highest. Having designed many of Australia’s most innovative correctional projects including the $200 million Hopkins Correctional Centre expansion and the multi-award winning $670 million Ravenhall Prison Project, at Guymer Bailey we know the importance of rehabilitative design and the need for secure environments need to be normalised as much as possible, to make the transition out of the prison system is easier. Craig’s promotion and management of correctional projects is a crucial step in achieving our vision to ‘design a better world’ through rehabilitative correctional design as we work with academic researchers to ensure our design solutions are evidence-based and best-practice. With greater demands to decrease costs, and a desire to minimise environmental impact, improve efficiency and increase student learning and performance, schools are starting to recognise the need to become more sustainable. But with many principals, boards and P&F committees balancing multiple needs, there is often a focus on short-term costs and savings, which can create more resistance around the long-term move towards greater sustainability. To help you shift your perspective, I’ll explore three reasons why sustainability is needed in schools and how it can give your school and students a greater competitive edge. While many schools install air-conditioning for the comfort of students and teachers, what most staff members and P&F committees are unaware of is that the quality of air can be dramatically affected. In air-conditioned environments more Carbon Dioxide (CO2) is present in the air, affecting the cognitive ability and learning capability of students in the classroom. It’s a conundrum, isn’t it? We put students into classrooms and exam rooms that are air-conditioned for their comfort only to create the worst possible air quality for them to perform and compete against other schools in. The good news is that through sustainable initiatives both the comfort and air quality of classrooms can be improved. While there are times when air-conditioning must be used, there are times when air-conditioning could be minimised through the use of a more effective passive ventilation design (like using louvres) that will allow greater fresh air and breezes through the classroom. Do measures like this make an impact, you might ask? A study done by the United States Environmental Protection Agency that examined the costs and benefits of green schools for Washington State estimated a 15% reduction in absenteeism and a 5% increase in test scores. With air-conditioning seen as a necessity, little thought or planning can go into the ongoing cost and maintenance of systems. Energy bills can skyrocket, particularly when there is little education or incentive around minimising air-conditioning use in classrooms. By linking both passive ventilation methods and air-conditioning to both a smart (automatically switches between passive ventilation, assisted ventilation, or air-conditioning based on settings) and manually controlled system, staff and students can become more conscious of their decision to use air-conditioning within the classroom. The installation of a CO2 monitor (Australian Geographic has a weather system that measures CO2 levels) can also be a valuable teaching tool to show the air quality of each classroom when the air-conditioning is on. Schools can further encourage more sustainable thinking through the use of incentives, offering a reward to the class who uses air-conditioning the least throughout the term. A holistic site approach that considers the use of shading, solar power, and LED lighting can also further reduce costs. While children thrive in routine, even their performance can be impacted by working in the same environment all of the time. By creating outdoor classroom environments, teachers and students can venture outside when the weather allows for different learning opportunities. This not only boosts student engagement, but it also minimises costs of lighting and air-conditioning while providing greater connection to the landscape and better working conditions. One example of the outdoor classroom idea is the Kimberley College Flexible Learning Area we designed. Combining adaptable indoor learning spaces with flexible outdoor spaces that are large enough for full class groups, students are given many varied opportunities for interaction, performance, collaboration and connection to nature. The feedback from these outdoor classrooms and others like it have been overwhelmingly positive, with teachers and students both saying they are a pleasure to work in. Schools that are making sustainability part of their governance are not only reaping the benefits of minimised costs and greater student engagement and performance; they are also addressing one of our greatest social challenges by empowering the next generation to be more environmentally minded. Phil Jackson is a Director of Guymer Bailey Architects and has a passion for sustainable design outcomes and the integration of architecture and landscape. From conception through to construction he ensures the delivery of outstanding projects and satisfied clients through open communication and enthusiasm for every project. There are many health benefits connected to nature play from cognitive, social and emotional development, to the building of resilience and creativity. But nature play is still not incorporated as much as it should be in childcare playground design. If you’re yet to incorporate nature play in your childcare centre or kindy play area, here are five reasons why you should reconsider your approach. Children from a young age can experience a lot of structure to their lives, and while an element of structure and routine is needed for their happiness and wellbeing, too much structure, particularly around play, can stifle creativity. Without being given prompts or recognisable play equipment, children are able to activate their imaginations, create stories, and be more likely to explore their environment. At Guymer Bailey Landscape we believe in increasing the opportunities for children to enjoy more unstructured play outdoors and in nature, and were recently given the opportunity to bring this philosophy to life through the design of the new nature play space at Bellbowrie Kindy. Children need to be active and have the opportunity to run around and be happy playing outside. Worrying about stains and getting dirty only limits their play and can lead to guilt around activities that they find are fun and exciting. Children who are given the time and opportunity to get dirty and explore, discover their world, and how things work. This exploration boosts their social, physical and creative skills, which can be well worth the extra washing. The single-minded focus on injury prevention through risk elimination that the playground industry has had in recent decades, has been found to be detrimental to children by ignoring their need to learn how to manage risk themselves. Changes to the Australian Standards last year reflected this shifting emphasis and recognised that the downsides of risks should be balanced against the very real benefits of incorporating meaningful graduated challenges for children to explore and test their capacities and limitations. The Bellbowrie Kindy nature play space embraces this realisation, in the hope that even at the kindergarten age, we can set a course for stronger, better-equipped and more resilient future citizens. Nature play is a great way to engage all seven senses being sight, smell, touch, hearing, taste, vestibular (sense of balance) and proprioception (sense of body awareness in space). This is incredibly important when you consider sensory play has been proven to support fine and gross motor skills, cognitive growth, problem-solving skills and language and social development. 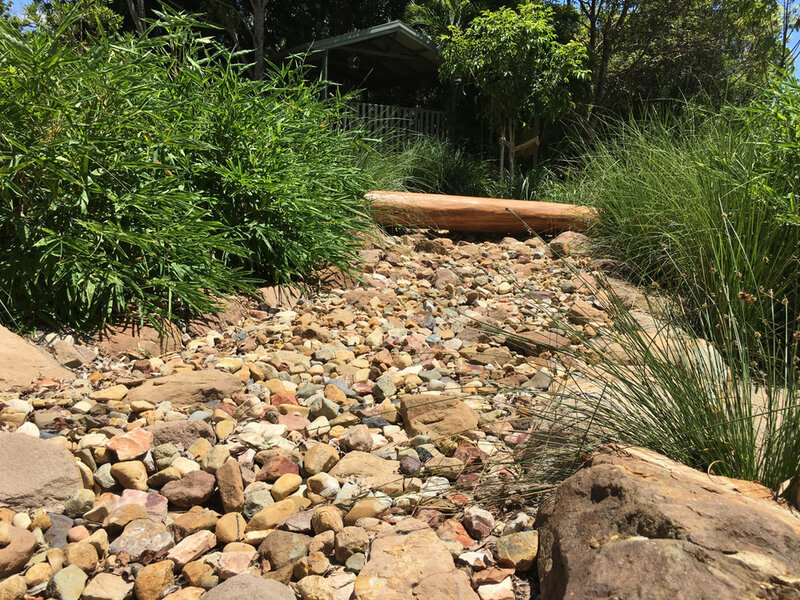 The design of the Bellbowrie Kindy nature play space has created an environment that enhances and enlivens the children’s sensory experience and importantly, at the same time, provides inclusion and engagement for those experiencing sensory impairment or disability. Perhaps one of the most underrated benefits of nature play is that it can also develop an environmental awareness and appreciation, which can create a concept of stewardship later in life. A legacy worth leaving our children. Could your kindy or childcare centre benefit from more nature play? Talk to our specialist playground designers today on 07 3870 9700 (Brisbane) or 03 8547 5000 (Melbourne). Rob Waddell is the Principal Landscape Architect at Guymer Bailey Architects. 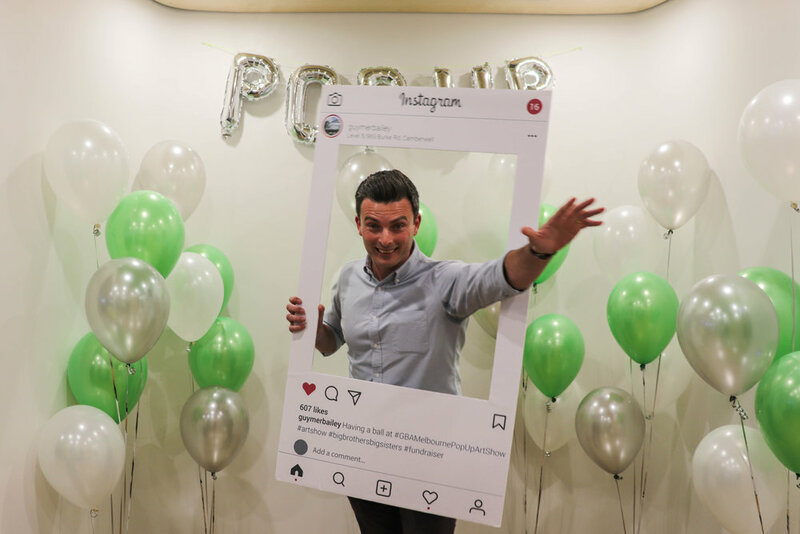 With extensive experience in designing landscape architecture for the community and education sectors, Rob has a proven track record of designing award-winning outdoor areas that capture the hearts and imaginations of children and enrich the experiences of the local community. With a keen interest in exploring the relationship between natural and built environments, Rob develops high-quality design outcomes that prioritise placemaking and people-centred design and work in harmony with the natural environment. The GBA Melbourne Studio started their own Pop Up Art Show tradition this year, raising much-needed funds for Big Brothers Big Sisters (BBBS), a not for profit organisation providing one-to-one mentoring programs that respond to the individual needs of young people between 7 and 17 years, particularly those considered to be socially and emotionally isolated across Australia. The artists featured on the night included many of the Melbourne team, our suppliers and local artists like Jeremy Geddes, best known for his series of photorealistic cosmonaut paintings (a favourite of our director Kavan Applegate), and Olga Finkel, who does impressive felt on canvas artworks. Our top fundraising artist on the night, however, was our own, super talented Patrick Giles who raised a total of $435 and surprised us all with his artwork Guymer Disney Architects, a cartoon representation of the entire Melbourne team. 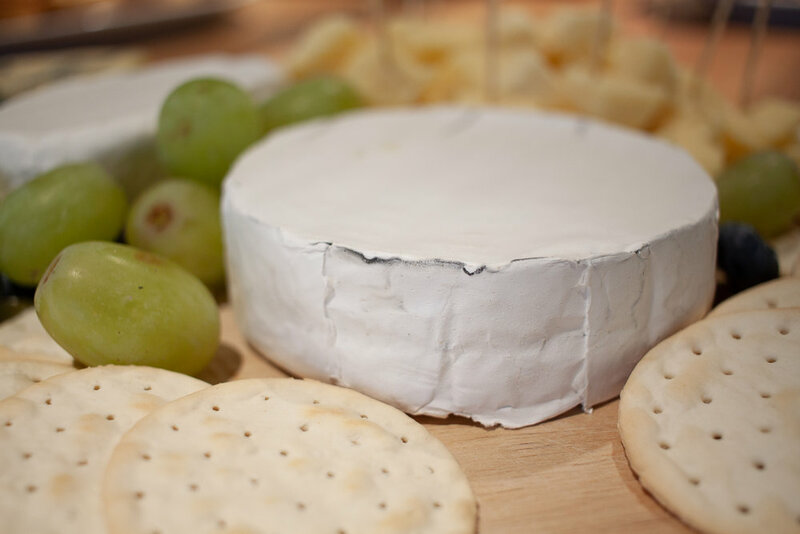 Throughout the evening guests enjoyed sushi platters, cold meats and cheese platters, quiches, dips and breads, and Krispy Kreme donuts as they meandered through the studio admiring art and eagerly awaiting the raffle prizes to be announced. Prizes from our generous sponsors ranged from wine, whiskey, jars of honey and burger vouchers, to massage vouchers, gold class movie vouchers, travel vouchers, stationery and craft hampers, hair products and illustrated children’s books. We also held two silent auctions on the night, one for a Royal Mail Hotel voucher (one night’s accommodation for two people and a restaurant voucher) which was purchased by Sarah Downie and another for one of Jeremy Geddes’ artworks which was acquired by John Avramiotis. Over $3,400 was raised on the night with all proceeds going directly to BBBS. After a fun photo with our novelty Instagram frame picture, guests watched a quick video from BBBS about their foundation, what they do and how Guymer Bailey Architects and our director Kavan has been involved with them for 17 years now. “Having seen the impact Big Brothers Big Sisters makes in the lives of young people over the years I’ve been involved as a Big Brother, I’m thrilled that we can support this incredible charity through our first Art Show. Even if you missed the Art Show, you can still donate! Click here to help BBBS facilitate long-term, intensive, one-to-one mentoring programs that provide a safe and supportive space for our next generation. For more images from our Melbourne Art Show head to our Facebook page. 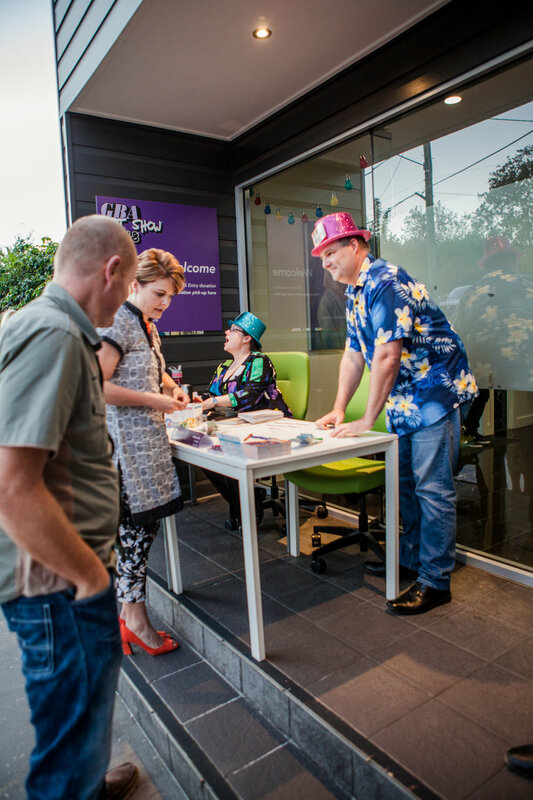 The GBA Brisbane Studio came alive in a burst of colour for our annual Brisbane Pop Up Art Show fundraiser for Hear and Say that was held on LOUD Shirt Day, a national community initiative to raise funds so that children affected by hearing loss can live life loudly. 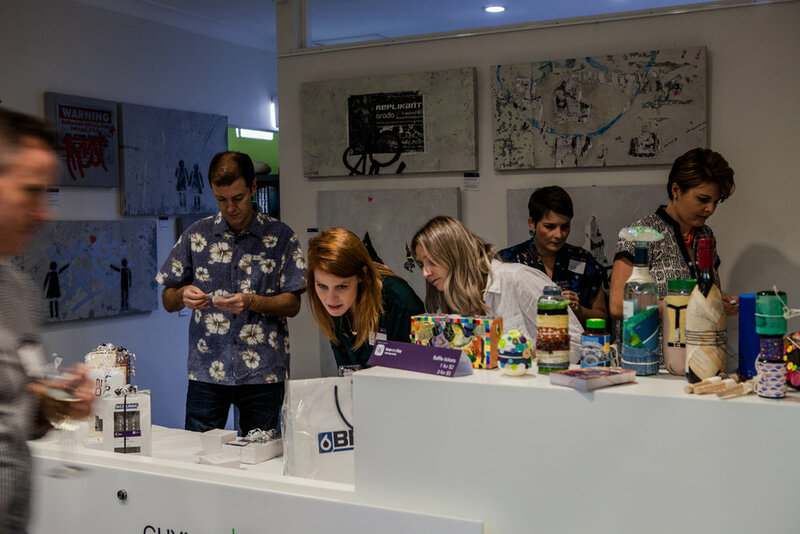 The annual community event showcased an incredible range of artwork created by the GBA Brisbane team and incredible local artists that included calligraphy, drawings, paintings, prints, photography, collage, glass, jewellery, sculptures and watercolours. The art, along with live music, cheese and wine and a very special junk jam musical item from the team kept guests entertained as we raised $2,800 on the night for Hear and Say. Phil Jackson, Director of Guymer Bailey Architects, said the Annual Art show is a proud tradition which has been running for six years. Also, thanks to Zip Water for providing a shiny new Zip Hydro Tap! We can now enjoy sparkling water on tap and were able to provide our guests with a ‘plastic bottle free’ zone. Even if you missed the Art Show, you can still donate! Click here to help children and young adults who are experiencing hearing loss continue to get the highest standard of clinical care. For more images from our Brisbane Art Show head to our Facebook page. California Lane is an exciting new laneway precinct that has opened behind popular Brunswick Street in Fortitude Valley, Brisbane. The laneway, which is an extension of the Bakery Lane and Winn Lane developments, aptly incorporates retro elements from the nostalgic years of California. With plans for California Lane started in 2013 by Guymer Bailey Architects, to celebrate the completion of this great new Brisbane addition we thought we would chat with Arthur Apostolos, from the family behind the Lanes, and talk about their vision and the design journey of California Lane. What was the inspiration behind the design of California Lane? “With California Lane, we wanted to add to our existing laneways that include Bakery Lane and Winn Lane and create a laneway with its own point of difference that would blend the heritage of the existing buildings with the context and history of the laneway. What is your vision for the laneways? “The laneways have been designed to represent the greater context of Brisbane, in that it’s a place where you can be yourself. The Valley has always been a place for everyone, rich or poor, successful or not successful, creative or not creative, the Valley has never distinguished between a type of person, and the laneways are the same. California Lane had quite the design evolution from where it started, how has it changed? “California Lane was originally scheduled for construction at the same time as Bakery Lane; however, it was pushed back as Bakery Lane became quite a large project. As a result, the design naturally evolved over this time. We moved away from the initial civic culvert and shipping container concept and settled on a traditional structure in the shape of a container to be in line with the 1960s theme. The Valley was in its heyday during the 1950’s, and 1960’s, so we wanted to borrow aspects that captured that era in colours, materials, features and finishes as well as in the tenancies that run down the lane. Designed to achieve the delicate balance of business and pleasure and provide a haven for pedestrian traffic, the highly anticipated laneway showcases emerging brands and trendy boutiques among exquisite cafes, bars and eateries, to create an ideal spot for dining in style. As we’re sure you can appreciate, reading about California Lane is one thing, but experiencing it for yourself is quite another. If you live in Brisbane or are due to visit, we encourage you to take a stroll back in time and enjoy the vintage West Coast vibes and fantastic food that California Lane is soon to be known for. Ravenhall Correctional Centre designed by Guymer Bailey Architects and built by John Holland Group won the Master Builders Victoria Excellence in Construction of Commercial Buildings over $80M award at the 2018 Excellence in Construction Awards. Ravenhall Correctional Centre, which is aiming to become the benchmark for rehabilitative prisons worldwide, is the largest prison in Victoria, currently one of the largest correctional facilities in Australia and the first Public Private Partnership (PPP) prison to be delivered on time. The Correctional Centre consists of 42 buildings within a secure perimeter wall and a further five buildings external of the wall to cater for other services and government facilities. Buildings include medium-security and transitional accommodation, residential accommodation, medical facilities, reception and visiting areas and industry buildings for trade training. Over 63,000 plants were used in the landscaping of the Correctional Centre with multiple sports courts, shelters and external fitness equipment also designed by our landscaping team. The new 200-bed minimum-security wing at the South Coast Correctional Centre (SCCC), designed by Guymer Bailey Architects, has been opened by the New South Wales (NSW) Department of Justice and inmates have started to be transferred. The minimum-security wing expansion which has been designed to feel more like a campus than a correctional centre, includes accommodation for inmates, health facilities, staff amenities, a programs building and an industry building. The new facility is part of the NSW Government’s $3.8 billion infrastructure program to help reduce recidivism rates among offenders through upgraded educational and work programs. With more than 80% of inmates at SCCC enrolled in a trade or other upskilling program, these new facilities will significantly assist with the rehabilitation of offenders. The stand-alone facility is part of a broader expansion that also includes a 160-bed maximum-security wing that is expected to open at the site next year. Our Brisbane Studio are seeking a Graduate Landscape Architect to join our growing team. We are an enthusiastic team of landscape architects and urban designers who work on a variety of projects for both public and private sector clients. Recent projects have included residential gardens, community facilities, sport and recreational facilities, streetscapes, public transport as well as large scale infrastructure. A graduate degree in Landscape Architecture (from an accredited university course). Three to Five years post-graduate experience in a landscape design practice. Able to work independently and as a team member. Proficient computer skills in CAD (particular ArchiCAD), Adobe Suite and Microsoft Office. Willingness to develop their professional capabilities.